Physics is all around us, and sometimes it is so visually awesome that it can make for great album covers. One of the highest selling albums of all time, and having one of the most identifiable covers of all time, Pink Floyd should rightfully start up this list. The phenomenon shown is called dispersion of light. This occurs when white light hits an optically permeable surface. In this case, white light is hitting a prism. As white light passes through the prism, all the different components of white light separate by wavelength. This occurs due to each wavelength having a different angle of deviation. Shorter wavelengths, such as violet, have greater angles of refraction than longer wavelength colors, such as red. The result is a splay of colors each aligned in a rainbow to their corresponding wavelengths. Another cover which can be easily recognized, or at least will be noticed, is Joy Division’s debut album. What you are actually seeing is a visualization of radio waves from a pulsar, in fact the first pulsar ever discovered. A radio pulsar is a neutron star which is spinning at incredibly high speeds. So this star, with a density ten trillion times denser than lead, is also generating a strong magnetic field from moving electrons. Due to this spin, electrical charges, and magnetic field, a radio signal was received at 1.337 second intervals. The picture above depicts eighty successive periods stacked on top of one another, and was taken straight from The Cambridge Encyclopaedia of Astronomy published in 1977. Despite being in earlier publications, the true creator of the design is not know, but if one thing is for sure, the image can still be found everywhere and this usage in 1979 was only the beginning of its use in pop culture. 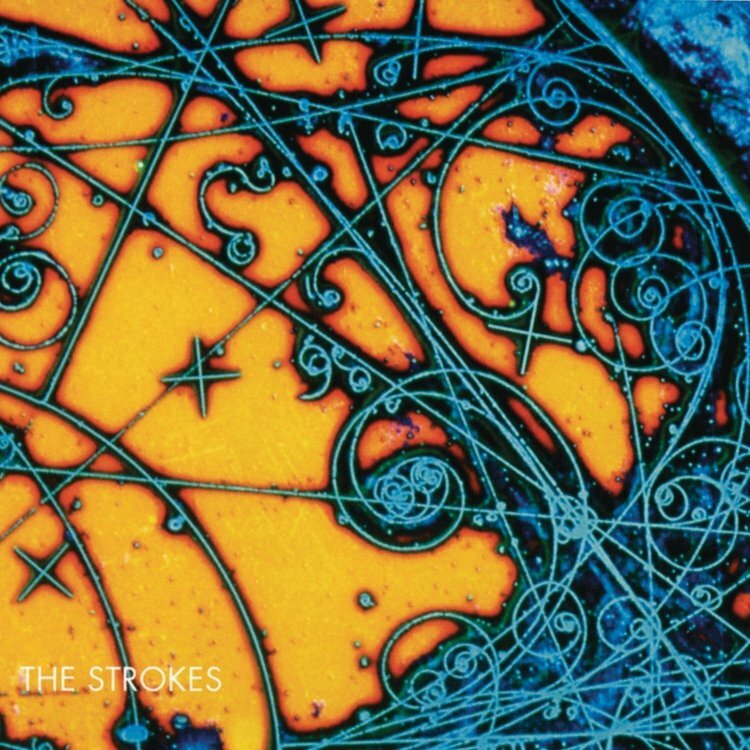 The cover to The Strokes Is This It was chosen for release of the 2001 album due to its beautiful psychedelic appearance. But what is it? Well, it is a picture taken from inside a bubble chamber. A bubble chamber is used to study electrically charged particles. How it works is that large bubble chambers are filled with incredibly hot liquid hydrogen. As the particles enter the chamber, a piston opens decreasing the pressure in the chamber. Charge particles created an ionized track which vaporizes the hydrogen creating visible bubble trails. Since the hydrogen is transparent, pictures can be taken in all three dimensions, mapping out the movements of the particles. So why is a different bubble chamber photo my profile picture? Well it has nothing to do with The Strokes. It's just a beautiful image, and that's what made most of these artists choose their own covers. Nature is beautiful in many ways, and being able to explain it with physics makes it just that much more enjoyable.